All of us here at Mulberry Bush Montessori Balfron 10k HQ know how hard it can be to train for a race, from a 10k right up to a marathon. It’s great to have someone to train with but getting advice from those in the know can be invaluable too. For all you first-time 10k-ers out there, we have just the man, Step forward Central AC veteran runner and athletics coach David Eckersley. Over the next ten weeks, David will be offering up training ideas and advice for anyone taking those first steps towards our 10th anniversary event in April. He’ll also be giving an insider’s view on the route and how best to tackle it. So start reading, get your trainers on and enter the world of running. Week 2: I’ve just spent an afternoon watching and competing myself in Central AC’s cross country championships. There were some really great efforts from runners aged 9 to 65, none of them put off by the mud, rain and cold! The tea and cake afterwards certainly helped perk everyone up. My focus now turns to training and my next race. 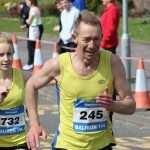 I try to have a short-term aim and a overall plan for a season – the Mulberry Bush Montessori Balfron 10k is part of this plan. I feel that having a plan and writing it down helps to keep training on schedule, especially when life is hectic with work and kids etc. By keeping a diary of your training you can track progress and learn from your experiences. As you progress with your training check your footwear. If you haven’t already done so invest in supportive, training shoes that fit properly. If in doubt check with a local sport/ running shoe outlet. Also think about some warm clothing suitable to run in. It’s important to take care at night with ice, poor light and remember to wear reflective bright clothing if out on the streets. I can’t wait for the lighter nights and warmer weather when I can just run out of the door in my basic running gear and not think about what hazards lie underfoot. 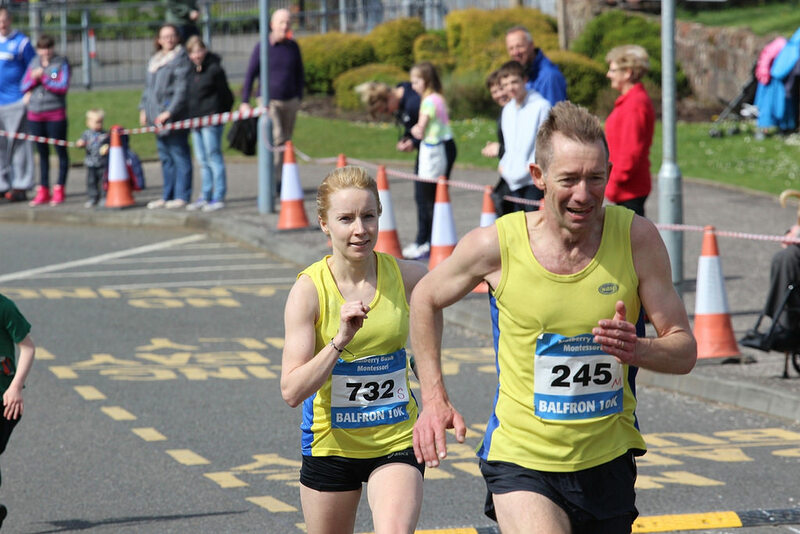 As it’s nine weeks to go until the Balfron 10k you need to be thinking about a gradual increase in distance or time training. Let your body get used to your level of running first then increase your training by about 10%. Try varying your training for interest and that’ll help to avoid repetitive strains. You can cross train, swim, and visit the gym as this will work on your core strength and flexibility. Try different surfaces as well such as a good grass surface (although that’s probably unlikely at present due to the amount of rain we’ve had). Focus on steady, gentle sessions as the aim is to build up some background fitness. Try some similar sessions to last week but go for slightly longer efforts such as 6 x 3 minutes easy pace with a 2-minute walk recovery. Also build in a warm-up of at least 5 minutes of easy running with drills such as strides and high knees. After your session cool down with 4 minutes easy run or walk afterwards. Good luck this week. Thanks to all the Balfron 10k sponsors for their support – your money will support kids in local areas with sport and local charity Action in Mind. This entry was posted in David's Blog. Bookmark the permalink.